and the opening of the Commonwealth Games on Thursday. Went shopping in Sainsbury’s this morning. This year’s royal wedding, or Royal Wedding ’86 as some of the bunting near (but not on) our house labelled it, was never going to be quite as big a deal as the one in 1981. It wasn’t a public holiday for starters. There was no chain of beacons across the country either, nor was there any fireworks. Unless you count the ones already underway between Charles and Diana (SATIRE). Yet it was still a mightily head-turning, chest-swelling occasion – if you were so inclined. As with the World Cup a few weeks earlier, I think my excitement was prompted chiefly by the mechanics of the spectacle and the upending of the regular TV schedules rather than any concern for the couple in question. And yes, I would have been up to watch it. All of it. 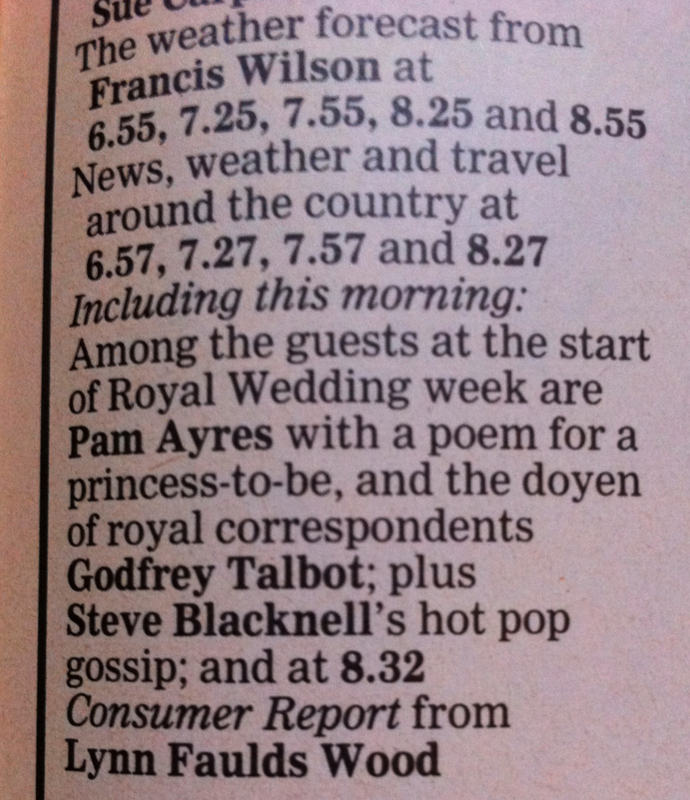 This entry was posted in July 1986 and tagged Here is the news, Unexpected interest in national events by Ian Jones. Bookmark the permalink. Never mind all that, I want to know more about you sulking around Sainsbury’s. It would have been a sulk of the pre-adolescence kind, i.e. loud and impulsive rather than morose and reticent. My silence would have been bought with a jam doughnut and a can of pop.